The records keep on coming for Memo Gracida. Gracida was the U.S. Open Polo champion for the 15th time Sunday as he led Isla Carroll past rival White Birch 10-6 in a physical game Sunday at Palm Beach Polo before a season-high crowd of 3,549. Since capturing his first U.S. Open title in 1977 with the legendary Retama team, Memo has won with nine foursomes. This is the third time in four years that Gracida has taken a first-year team to the U.S. Open championship. The others were Aspen in 1994 and Outback Steakhouse in 1995. For the fourth consecutive year, Gracida kept White Birch from the only high-goal polo title that has eluded it. White Birch, which has won 24 major championships at Palm Beach Polo since 1983, has lost in three of the last four U.S. Open finals. Last year, Gracida’s Outback Steakhouse team eliminated White Birch in the semifinals. The horses made the difference, said the 40-year-old Gracida, a 10-goaler since 1980, after accepting his sixth MVP award, a trophy and a $40,000 sports car for a year. “I was never outrun or outplayed with the ball,” he said. 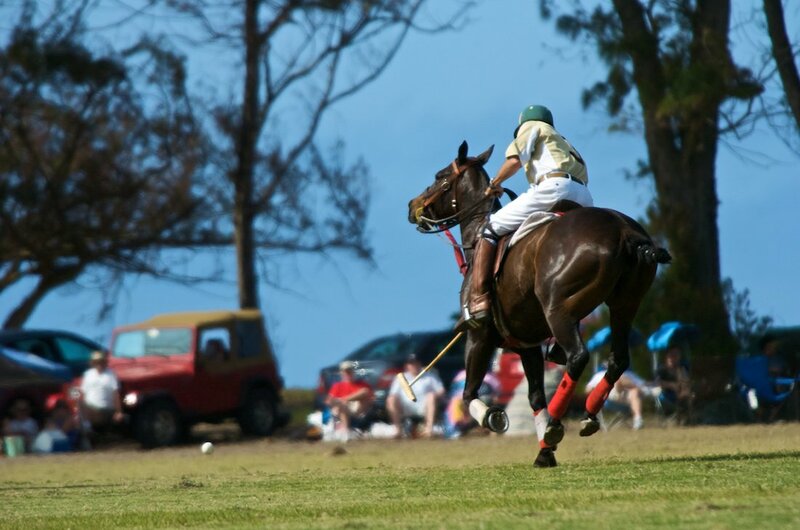 Gracida’s strategy centered around defense and keeping White Birch’s young 10-goalers – the 27-year-old Aguerre and 21-year-old Adolfo Cambiaso – on their heels. Gracida guarded Cambiaso, perhaps the best player in the game today. The game was marred in the final seconds when Aguerre was hit in the face with a mallet. “Watch the video,” said Azzaro, when asked if it was intentional. “It was a payback. I was hit throughout the game. And I didn’t hit him. I hit his mallet.” Aguerre received medical attention on the field and finished the game.